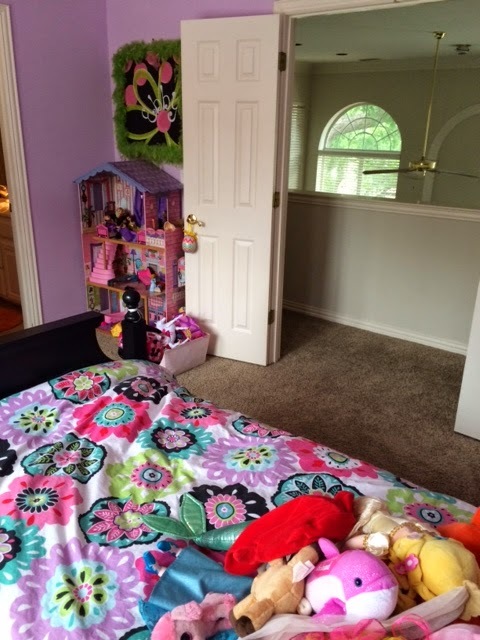 On Tuesday, I linked up with Andrea to share our kids' rooms. I was having MAJOR computer issues, so I couldn't load pictures of Ebby Lee's room. But...here they are!! When we moved in, her room was super plain...off-white walls and old carpet. I don't think I took a "before" picture of her room. 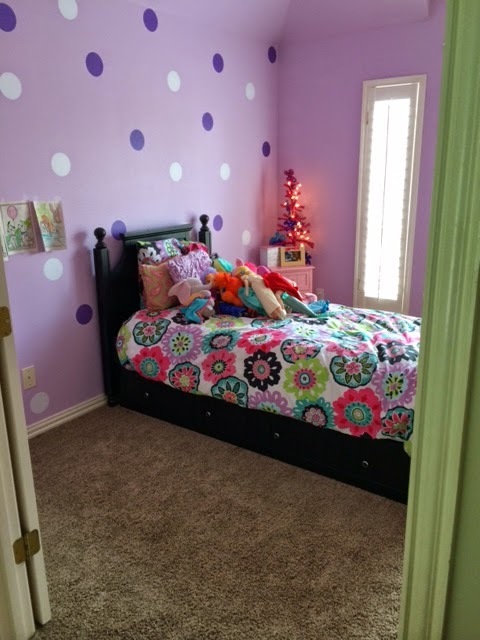 We replaced the carpet, painted her room purple (her new favorite color...ha! 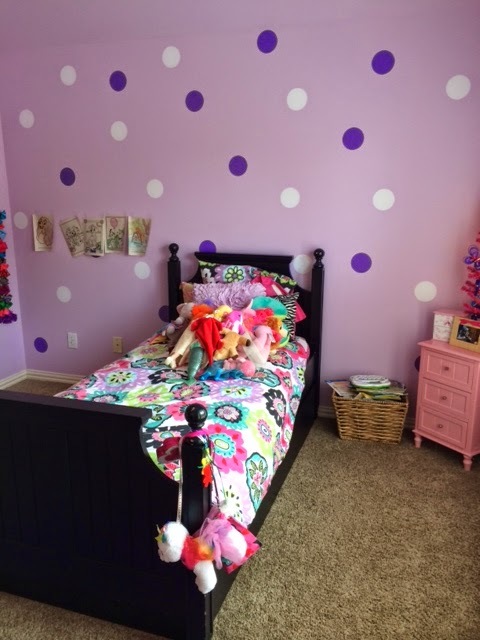 ), and added vinyl polka dots to brighten up the space. I bought vinyl ones because it was WAY easier than painting them!! And...those coloring pages taped to the wall are courtesy of Ebby Lee. I didn't have the heart to take them down for the picture. She loves having her art on her walls. She wants to be an artist after all. :) So...I left them...this is real life! haha! Her nightstand...we got fun Christmas trees for the kiddos' rooms last year and they sleep with them lit up every night! We all love them...so apparently they're sticking around for ALL of 2014! She has a trundle bed underneath her twin. In our old house, Nixon slept there every night after Bowen was born because Bowen took over the crib. Now...her trundle is perfect for sleepovers! And...the lampshade is a little crooked. :) She loves it!! And...I LOVE that it's the perfect space for her. awww her coloring pictures on the wall are SO sweet! and I'm loving that bedspread!! 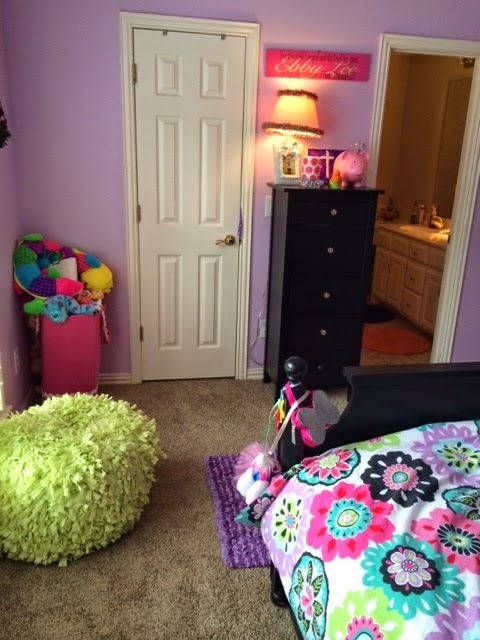 Her room is so sweet so fin and bright! And the artwork..., reminds me of Olivia's room,,,,she has post it notes hung up with all her writing! Lol. Happy Thursday!!! Love Ebby Lee's room! It's so her! Adorable room. Love the polka dots. The coloring pages add the perfect touch! 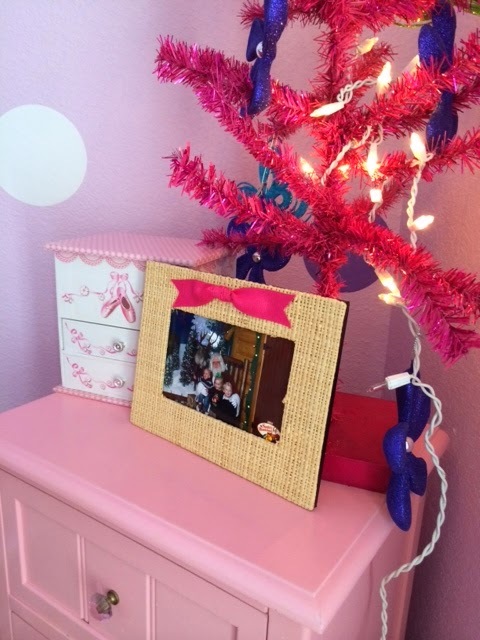 :) My teenage daughter has a year-round Christmas tree in her room too! So fun! So fun!!! I love her room!! Such a fun, pretty room!! So random, but I have to know -- how did you come up with the name Ebby Lee? I ask because I actually have a dog named Ebbie (her name before we got her was Ebony, which I didn't like, but wanted her to have something similar)! Ebby is a realty company here in TX. Tab and I really liked the two name southern thing. We were trying to come up with something to go with "Lee". And...we kind of jokingly said "Ebby" one day and we both liked it! !